We've now entered the holiday frenzy so I'll keep this short and sweet. 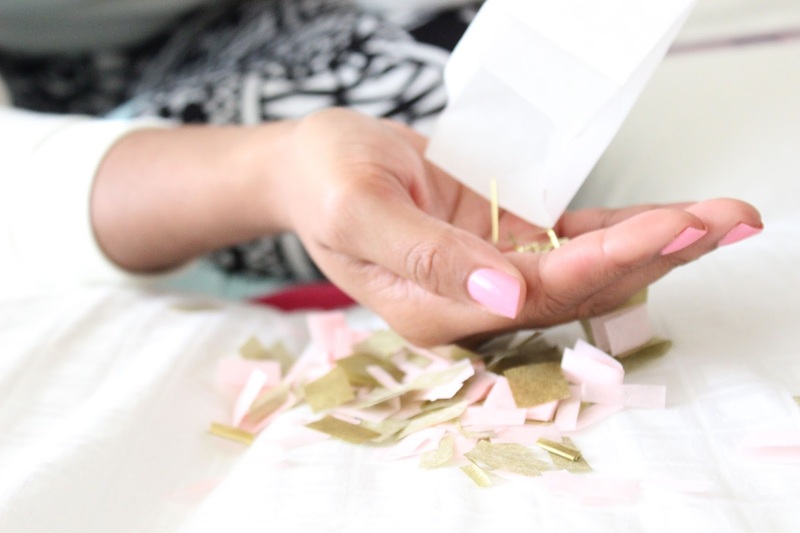 If you follow me on social media you know I'm obsessed with confetti. In fact, my friends and family think my favorite color is confetti. I can never get enough of it and lucky for me, I know how to make it from scratch. 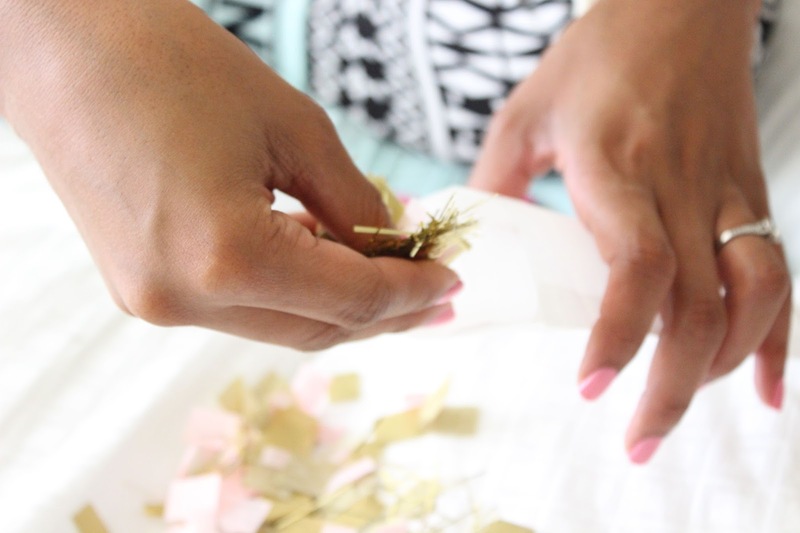 If you're a confetti lover like myself, and you've got special New Year's Eve party plans, then this quick DIY will add tons of excitement as you countdown to 2015. 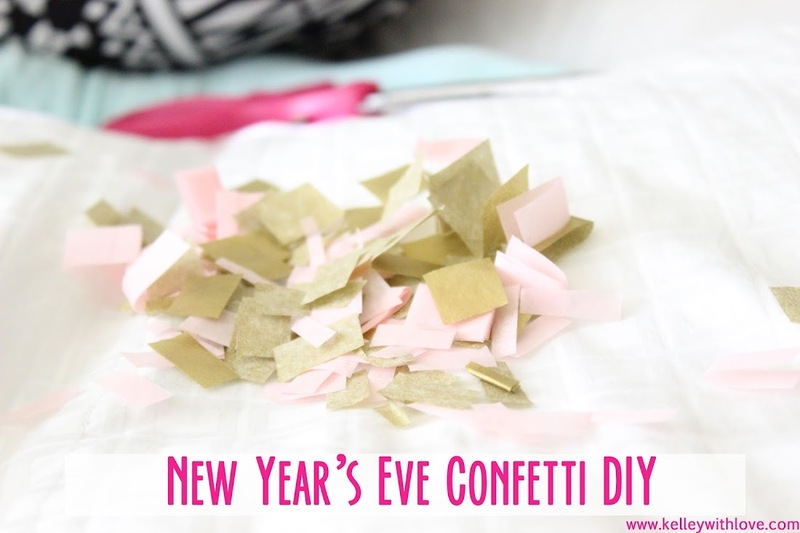 Check out the New Year's Eve confetti DIY below. 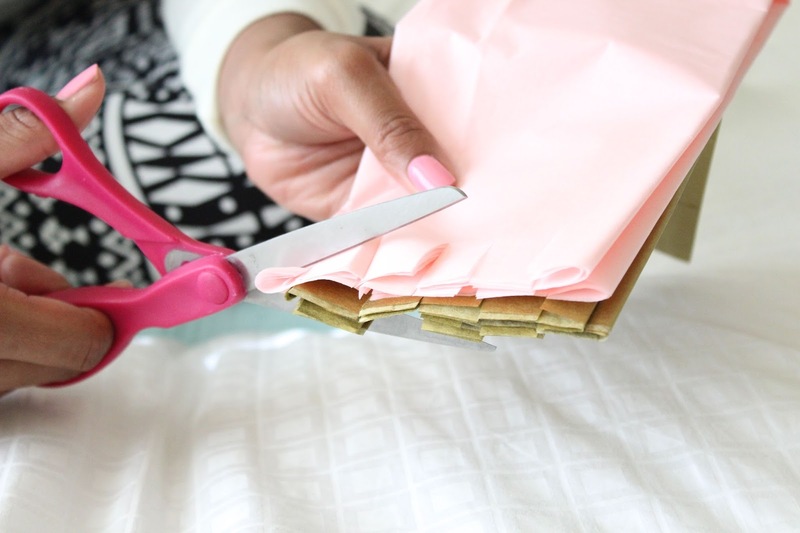 Step 1: Choose 2 -3 colors of tissue paper. 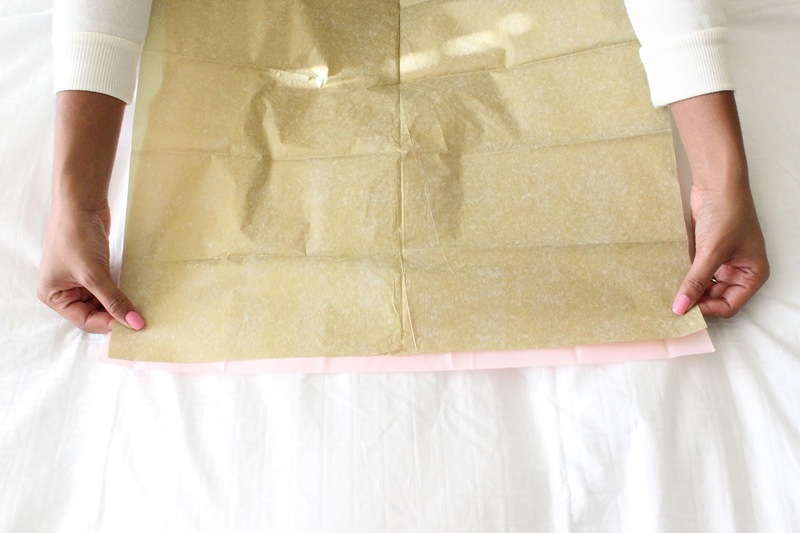 Step 2: Fold your tissue paper into a rectangle. 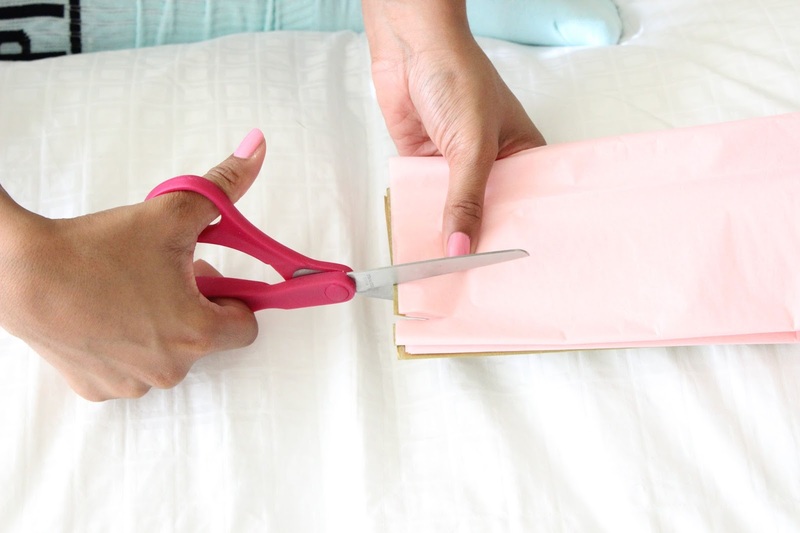 Step 3: Begin cutting (vertically) straight lines at the open end of your tissue paper. Step 4: Now begin cutting horizontal lines across the vertical cuts you just created. 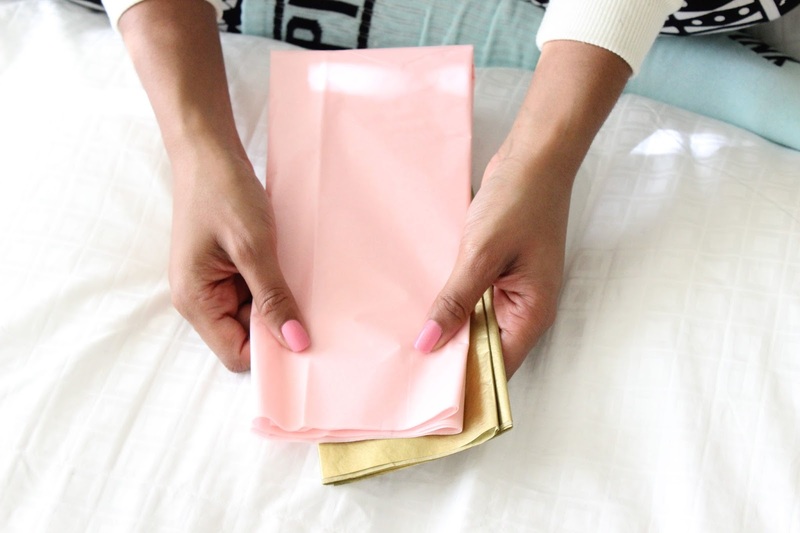 Step 5: Package your confetti & have fun! 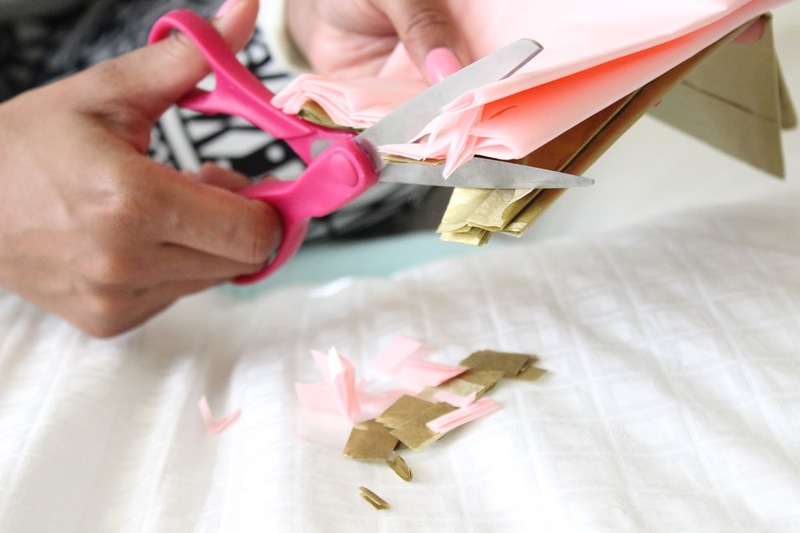 I never really thought about making confetti before. Thanks for the tip. Love the layout of your blog. 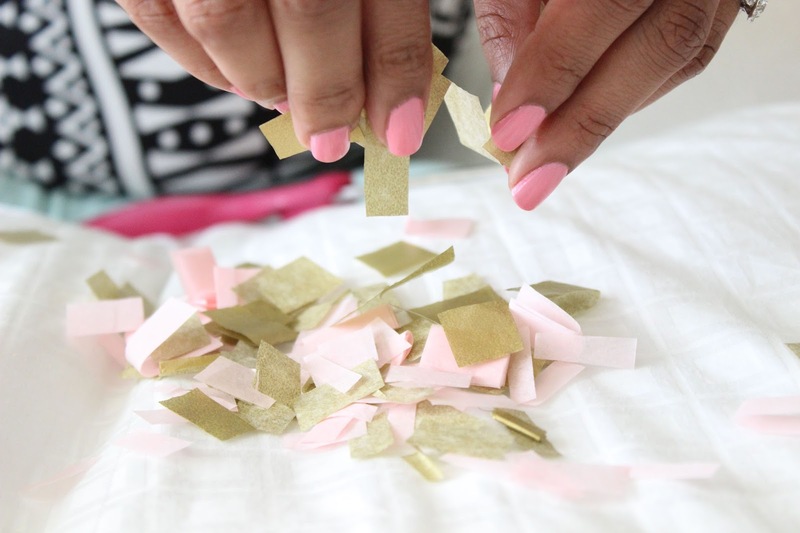 The confetti tutorial also makes it look really easy. Love the colors that you have used.